Whether you are planning to have an intimate wedding or an exorbitant one, Celebrations Hotel will surely match your unique choice, budget, and requirements. With a capacity of accommodating up to 80 in seating and 150 in floating, the venue has a cosy and comfortable interior for the guests. It also offers an in-house team of caterers that puts all the efforts to delight the guests with mouth watering multi-cuisine dishes. Celebration Banquets by Imperial, Vashi, Mumbai is a versatile venue for weddings, receptions, sangeet night and cocktail parties. 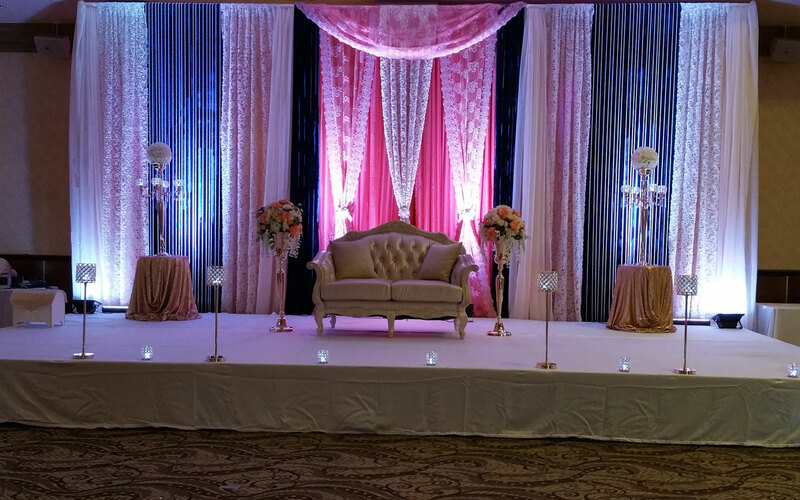 Whether you are thinking of hosting a birthday party or a full-fledged wedding reception, the venue’s in-house decorators can create magic! Try out their delicious cuisines and be prepared to be impressed by their impromptu services for your next event. Formerly known as Celebration Banquet Hall, Vashi, this venue offers multiple options for hosting a variety of events with different capacities. For open air events, it has a terrace that can accommodate a large number of guests while there are three other halls for a variety of functions. There are pillar-less banquet halls for the perfect and unobstructed view of functions. Celebration Banquet Hall, Vashi is located close to Vashi Station and Sanpada Station. At Celebration Banquets by Imperial, Vashi, Mumbai, you can also get the combined hall when you are planning to host a party for a large gathering. Head here for your next party and you are sure to receive the best of services for sure!